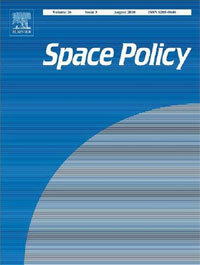 Chad Anderson discusses the benefits of public-private partnerships in his latest paper, Rethinking public-private space travel, published in Space Policy Journal. On May 24, 2012 SpaceX's Dragon capsule was launched and in doing so became the first commercially built vehicle to berth with and carry cargo to the International Space Station (ISS). It successfully completed its mission and returned to the Pacific Ocean on May 31, 2012. The docking of Dragon represented a historic moment where a commercial enterprise managed to achieve that which had previously only been accomplished by governments. “In the history of spaceflight – only four entities have launched a space capsule into orbit and successfully brought it back to Earth: the United States, Russia, China, and SpaceX”. While this is a monumental accomplishment for private industry, we cannot ignore the value of public–private partnerships and the role that government played in enabling this incredible achievement. In this paper I will examine how public–private partnerships are enabling the development of the commercial space industry, viewed through the lens of the Rethinking Business Institutional Hybrid Framework put forward by University of Oxford professors Marc Ventresca and Alex Nichols in their Rethinking Business MBA course. I intend to demonstrate that the NASA versus Commercial Space argument is a false dichotomy and that only by working together can both sectors continue to push the boundaries of space travel and exploration. I plan to do this by first discussing how the NASA-SpaceX partnership came about and the reasoning behind it. I will then explore what a public–private partnership (PPP) is, as compared to other government privatization schemes, and explain why Space Act Agreements are significantly different from anything done previously. I will then analyze the impact of these agreements and outline their benefits in order to demonstrate the value they create, especially in areas of mutual value creation and economic development.